twitchquotes: I thought not. It's not a story the Blizzard Devs would tell you. It's an Overwatch legend. Angela Ziegler was the main healer of Overwatch, so powerful and so skilled she could use her rapid healing to influence the human body to create life... She had such a knowledge of healing that she could even keep the ones she cared about from dying. The Zürich PHD is a pathway to many abilities some consider to be unnatural. She became so powerful... the only thing she was afraid of was losing her power, which eventually, of course, she did. Unfortunately, she taught Jeff Kaplan everything she knew, then her developers nerfed her in her sleep. Ironic, she could save others from death, but not herself. I thought not. It's not a story the Blizzard Devs would tell you. It's an Overwatch legend. Angela Ziegler was the main healer of Overwatch, so powerful and so skilled she could use her rapid healing to influence the human body to create life... She had such a knowledge of healing that she could even keep the ones she cared about from dying. The Zürich PHD is a pathway to many abilities some consider to be unnatural. She became so powerful... the only thing she was afraid of was losing her power, which eventually, of course, she did. Unfortunately, she taught Jeff Kaplan everything she knew, then her developers nerfed her in her sleep. Ironic, she could save others from death, but not herself. 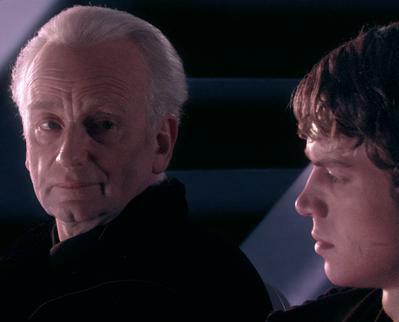 twitchquotes: Did you ever hear the tragedy of United Airlines the Overbooked? I thought not. It’s not a story the CEO would tell you. It’s a sky legend. United Airlines was an Airline of the sky, so powerful and so overbooked he could use Force to influence the passengers to give up their seats… He had such a knowledge of the police that he could even keep the employees he cared about from not having a seat. The police's use of Force is a pathway to many abilities some consider to be unnatural. He became so powerful… the only thing he was afraid of was losing his seat, which eventually, of course, he did. Unfortunately, he taught his apprentice everything he knew, then his apprentice KO'd him and took his seat. Ironic. He could save others from losing their seats, but not himself. Did you ever hear the tragedy of United Airlines the Overbooked? I thought not. It’s not a story the CEO would tell you. It’s a sky legend. United Airlines was an Airline of the sky, so powerful and so overbooked he could use Force to influence the passengers to give up their seats… He had such a knowledge of the police that he could even keep the employees he cared about from not having a seat. The police's use of Force is a pathway to many abilities some consider to be unnatural. He became so powerful… the only thing he was afraid of was losing his seat, which eventually, of course, he did. Unfortunately, he taught his apprentice everything he knew, then his apprentice KO'd him and took his seat. Ironic. He could save others from losing their seats, but not himself. twitchquotes: Did you ever hear the tragedy of Darth Kripparian the Salty? I thought not. It’s not a story the streamer would tell you. It’s a Salt legend. Darth Kripparian was a Dark Lord of the Salt, so powerful and so wise he could use the Force to influence the midichlorians to create salt… He had such a knowledge of the dark side that he couldn't even keep the cards he cared about from dying. The dark side of the Force is a pathway to many abilities some consider to be salty. Did you ever hear the tragedy of Darth Kripparian the Salty? I thought not. It’s not a story the streamer would tell you. It’s a Salt legend. Darth Kripparian was a Dark Lord of the Salt, so powerful and so wise he could use the Force to influence the midichlorians to create salt… He had such a knowledge of the dark side that he couldn't even keep the cards he cared about from dying. The dark side of the Force is a pathway to many abilities some consider to be salty. twitchquotes: Did you ever hear the tragedy of Open the Waygate? I thought not. It’s not a story the f2p btw would tell you. It’s a P2W legendary. Open the Waygate was a Quest from Journey to Un’Goro, so powerful and so astounding it could use Time Warp to influence the end turn button to create another turn… It had such a knowledge of the spaghetti code that it could even keep the worthy opponents it faced from having a turn. The spaghetti code is a pathway to many abilities some consider to be imbalanced. It became so powerful… the only thing it was afraid of was losing its power, which eventually, of course, it did. Unfortunately, it drew every card from its deck, then its worthy opponent set it to one health. Ironic. It could stop others from drawling, but not itself. Did you ever hear the tragedy of Open the Waygate? I thought not. It’s not a story the f2p btw would tell you. It’s a P2W legendary. Open the Waygate was a Quest from Journey to Un’Goro, so powerful and so astounding it could use Time Warp to influence the end turn button to create another turn… It had such a knowledge of the spaghetti code that it could even keep the worthy opponents it faced from having a turn. The spaghetti code is a pathway to many abilities some consider to be imbalanced. It became so powerful… the only thing it was afraid of was losing its power, which eventually, of course, it did. Unfortunately, it drew every card from its deck, then its worthy opponent set it to one health. Ironic. It could stop others from drawling, but not itself.